Owners of TC96/TC103/TC110 bikes really feel the heat, so newer models feature rear cylinder heat shields. Now you can replace the OEM black plastic with our new N5200 Heat Shields. 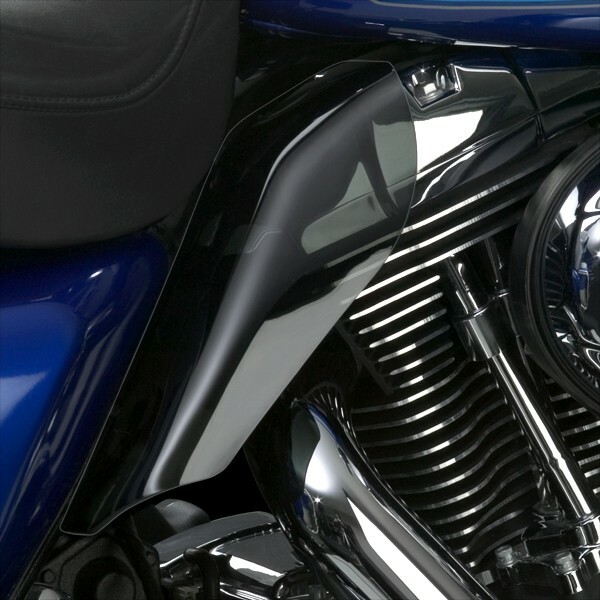 Our dark tint polycarbonate lets more of the engine show through without letting the heat waves roast your thighs.